No one likes a Debbie Downer. There have been some times in my own life where surely I have been one, but I don’t like to be one. However, I am performing a needs assessment. Thus it is my job to talk about the various needs of the public hospitals in Uganda in meeting the neurosurgical needs of the patient population… and thus sometimes it sounds like I’m such a sad sack. BUT! There is hope for the future! That’s what all research is about right? Changing what we are able to control to benefit the future… so just keep that in mind as you continue to read through! Last week I talked about the lack of a biomedical engineer at Mbarara Regional Referral Hospital, and the toll I could see it taking on the equipment. It is a cause close to my heart since I myself am a biomedical engineer – BUT, this is not the only issue at Mbarara. They have a serious medical staff shortage; from doctors to nurses to anesthesiologists to administration. This problem is painfully clear in the operating theater where there are four operating rooms and only four people on the anesthesia team. This sounds like a reasonable ratio, but we all realize that hospitals are not an 8-5pm operation and therefore some of these anesthesiologists will be working at night and on the weekends… thus there are less than four people available for the four rooms at any given time. This means that during an operation, it is not uncommon for an anesthesiologist to have to switch back and forth between patient rooms to monitor two patients at once while they are under anesthesia. Not only does this put the patient at risk without constant monitoring, but increases the likelihood of mistakes and infection. 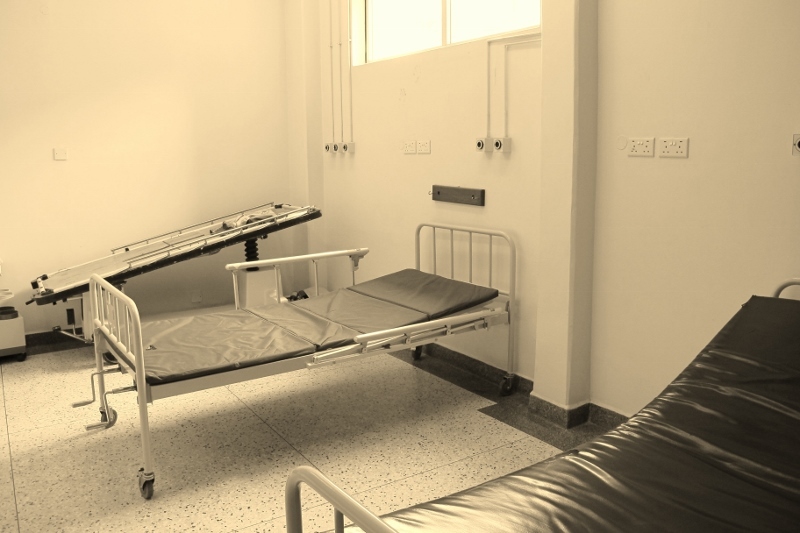 After surgery, generally patients will take a few hours to recover from their anesthesia and will go to a recovery area within the operating theater where they are monitored by a nurse until they wake up; then they are transferred to the ward. At Mbarara, they have a nice room available for recovery patients with space for up to four people (with beds but no monitors). This area is not utilized, however, because there are no nurses that can be spared to actually watch these patients. Instead, post-operative patients are wheeled out of the operating room and stationed in the corridor where medical staff passing through can keep an eye on them when they come in and out of the rooms. This type of monitoring will only catch the most extreme post-operative reactions since they are not being constantly watched or hooked up to monitoring equipment. This problem with monitoring continues after the patients leave the operating theater. Generally, patients will be admitted to the surgical ward where nurses are specially trained to care for surgical patients. Although Mbarara has a surgical ward, the surgeons will commonly send their post-operative patients to the Emergency Ward. This is probably the busiest place in the hospital – this the place that every patient comes through before getting sorted into another area - so why would the surgeons want their patients here? The surgical ward is SO overburdened that sometimes there is one nurse to watch over up to 80 patients. And there is no monitoring equipment. At all. No blood pressure machines, no pulse oximeters, no monitors… it is mostly just a place to provide shelter, dispense drugs, dress wounds, and be close to help when it is needed. The surgeons choose to send their patients to Emergency because there are a few more nurses here but there are also two monitors and their patients have a slightly better chance of success in case of a complication. So why can’t the hospital simply hire more staff? It is clear there is patient need and there are nurses and doctors available in the country that could be hired… the answer is slightly political. In Uganda, there are certain metrics for staff numbers depending on the designation of the hospital. Mbarara is a Regional Referral Hospital, while Mulago is a National Referral Hospital. Thus Mulago is allotted far more staff members to hire than Mbarara. The hospital in Mbarara has been rumored to change its status from Regional to National several times over the last five years, but the title has still not come. As it stands today, Mulago is the only National Referral Hospital in Uganda – there to serve a population of approximately 38 million. So when you need special services (like Neurosurgery if you have a boda or car accident), it is assumed you would go to Mulago since this is the only place with adequate staff numbers (this is arguable), certain drugs, and sufficient quantities of consumables reserved for National Referral Hospitals. All 38 million Ugandans. Right now I am in a city over six hours away from Mulago in case of emergency.